Check out another Dear Shatae FAN Favorite! A viewer says her Nanny just had a baby. The thing is, the baby looks A LOT like the viewer’s husband! When is it okay to steal some baby hair and have a DNA test? 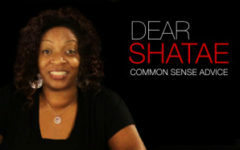 Dear Shatae has the answer and she is TELLING it like IT IS!